Mercedes celebrates the third double win in the third race of the season. This happened in Formula 1 the last time in 1992 with a superior Williams team. See all Grand Prix data here. Paradoxically, his pole from Saturday would be a disadvantage. A chance to counter Lewis during the race wasn’t given either: “In the first stint our pace was the same, but with the dirty air behind Lewis I could not follow him,” says Bottas. Laudatio from former teammate Nico Rosberg: “In training, he was a bit demotivated. But when it comes down to the important moments, Lewis comes back and blows your mind,” says the German. 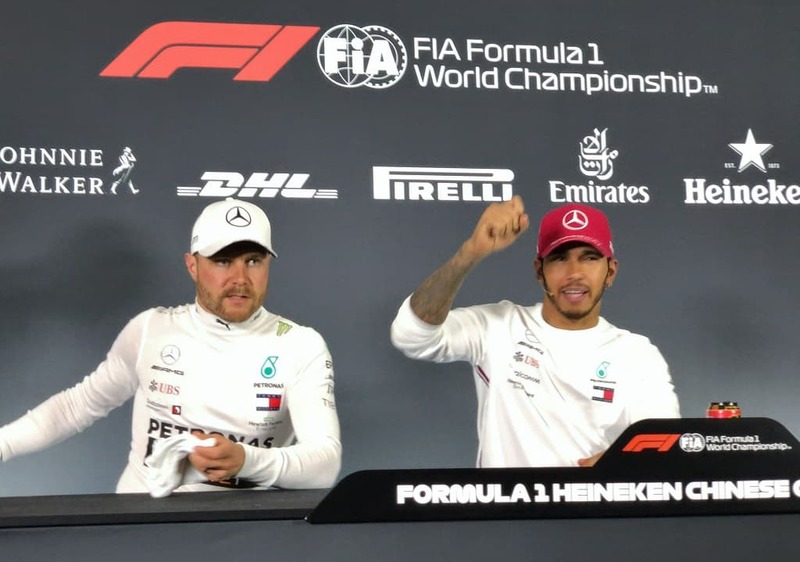 Formula One 2019 remains a Mystery even after the Qualifying in Shanghai even for all experts and team managers. Red Bull’s Chief Adviser Dr. Helmut Marko cannot explain the new Strength of Mercedes in China after Bahrain’s weak weekend. Marko to ABMS and F1 Insider: “In the third Sector, they were half a second faster. This must have something to do with extreme acceleration force. Mercedes must have found something to improve their engines. He, therefore, contradicts Mercedes-Teamchef Toto Wolff, who saw an extreme advantage with Ferrari. He also refers to all top 5 drivers using medium tires. Everyone else in this Group starts with the soft tires, which break down much faster. There could be an explanation for the nearly four-tenths of a second gap to Mercedes: Ferrari chose a set-up that gives them a speed advantage on the approximately one kilometer long straight during the race. Mercedes chose more downforce to be faster in the corners. The figures show that in qualifying, Vettel was up to ten km/h faster than the Silver Arrows which Mercedes made up for in the corners, especially in the second sector. As for handling the tires, Friday’s Long runs didn’t give a conclusive answer. Mercedes, Red Bull and Ferrari were all at par. In any case, it promises to be an exciting 1000th race this Sunday. Next articleF1 1000: Who was the Best?